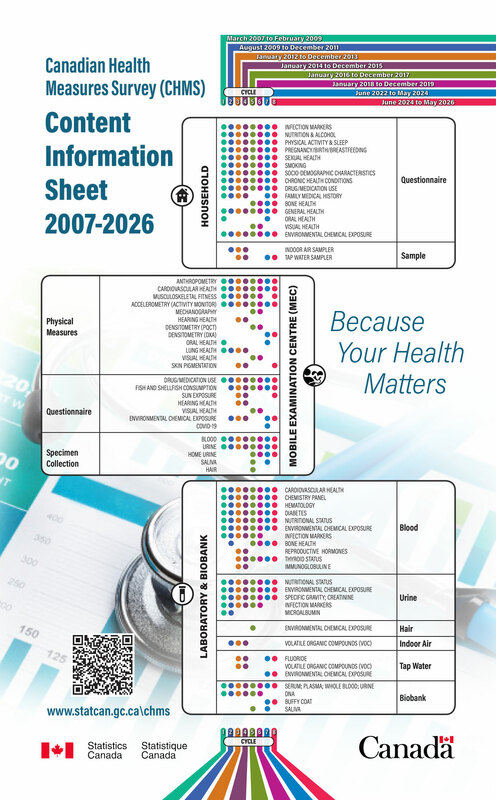 The Canadian Health Measure Survey (CHMS) is divided in biennial collection cycles. Eight cycles are currently planned. Sample collection is divided in three components: Household, Mobile Examination Centre (MEC) and the Laboratory & Biobank. The components contain content that reoccurs every cycle and content specific to selected cycles. The laboratory and biobank component contains six sections which are blood, urine, hair, indoor air, tap water and the biobank.